They raised you, took care of you, taught you and then sent you out into the world. Armed with their words, hopes and expectations you took it on; one step at a time. You went to school, graduated, got married and had children of your own. Meanwhile your own parents happily took a backseat- supporting and watching you fulfill all of the dreams they have for you. As our own lives occupy all of our time, thoughts and energy it is easy to forget that our parents lived through all the same things. They lived through wild moments and hardships. They lived through happy times and sad times. I know it seems crazy to think of our parents living without us, but have you ever stopped to wonder what they did before they were your parents? Here are nine questions we should all ask our parents before they are gone to find out who they really are. Our parents were once children, just like we were and our kids are now. We should ask our parents some of those same questions we ask our kids. You may be surprised at their answer. You may be more surprised at the reasons why they wanted to be a farmer or an astronaut. Go ahead- ask and see. Along those same lines, you should know what kind of children your parents were. This might actually explain why your children are the way they are. The answer may be humorous or serious, but chances are you will be shocked at the mischief your parents caused. This question is a little heavier, but knowing this about your parents will open a window and allow you to better understand what motivates them. This can also be a great way to avoid repeating your parents' regrets and mistakes. They really are wiser than us. 4. Why did you fall in love with my mom/dad? Knowing why your parents fell in love with each other will help you to understand their relationship. This question will most likely spark the re-telling of your parents' love story. A love story you should most definitely know by heart. 5. What's the craziest thing you've ever done? The answer to this question will almost definitely shock you to the core! Our parents generally seem like boring and respectable adults, right? Wrong. They weren't always our parents and some of the crazy situations they got into as teenagers and young adults will be stories you will tell your children until your own death. Your parents may be reluctant to answer this question, but pry the details out of them if you can, you won't be sorry. 6. What were the tough times? How did you make it through them? Tough times hit the best of us. If your parents are like mine, they take the hard times in stride and do their best to keep the struggles hidden from their children, but they are still there. 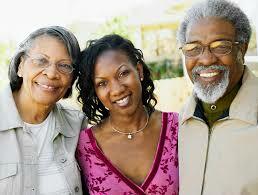 Give your parents the chance to share their coping mechanisms and to share their heart. 7. What were the happiest times? On the other hand, we all have those moments of pure joy that hit randomly and suddenly and give us the strength to make it through. Ask your parents what those times were like for them to remember the joy during the hard times. 8. What did you do for fun as a kid and as an adult? Outside of cooking, cleaning, working, helping with homework and attending all of the kids' activities, what do your parents enjoy doing for themselves? What did they enjoy doing as children and how has that changed? 9. What advice would you give me? You may think they have already lectured you enough and fed you with their advice to the point of torture, but there is something more to give. The things they nag about daily may not be the bits of advice they feel are most important. These things are usually more personal and cannot be yelled about as you are running out the door. You can create the right setting for a deeper answer to these questions by actually sitting down and asking your parents these most important questions today. Our parents have so much they want to give. Are we willing to take the time to ask and listen?